After anonymous threats targeting black students at the University of Missouri were posted online Tuesday evening, saying things like, "I&apos;m going to shoot any black people tomorrow, so be ready," the fear on campus grew quickly. 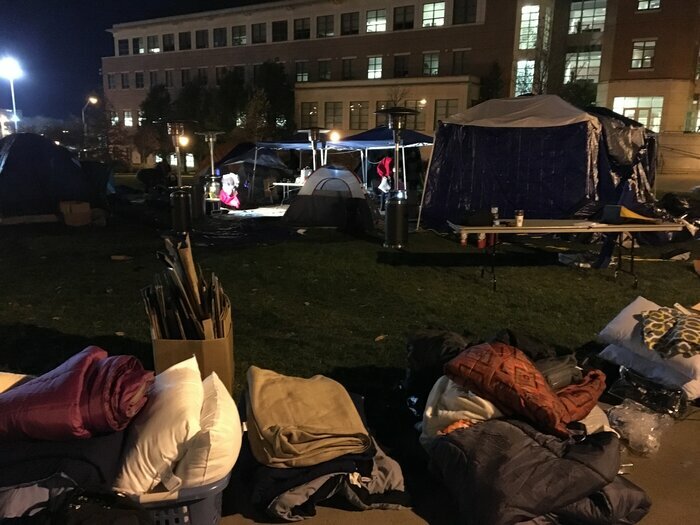 Some black students were so scared that they left their dorms to stay with friends off campus. Others didn&apos;t go that far, but did stay inside and away from windows. UPDATE: no KKK on campus. 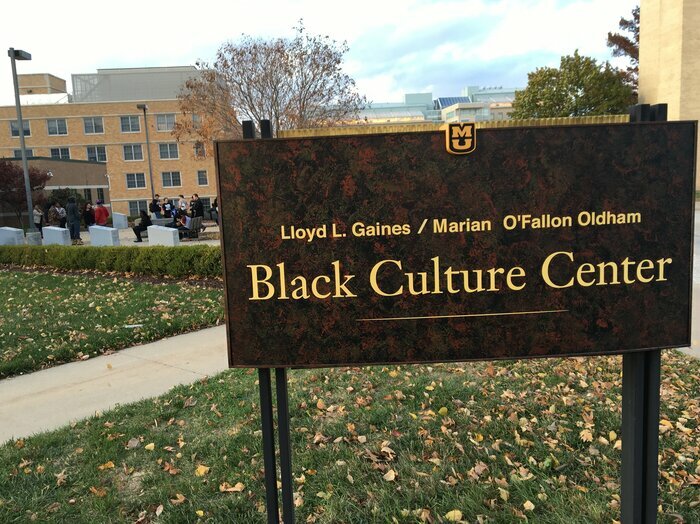 Just racists yelling n-word aka normal #Mizzou @MSAPresident made ONE error in midst of strong/mature leadership. 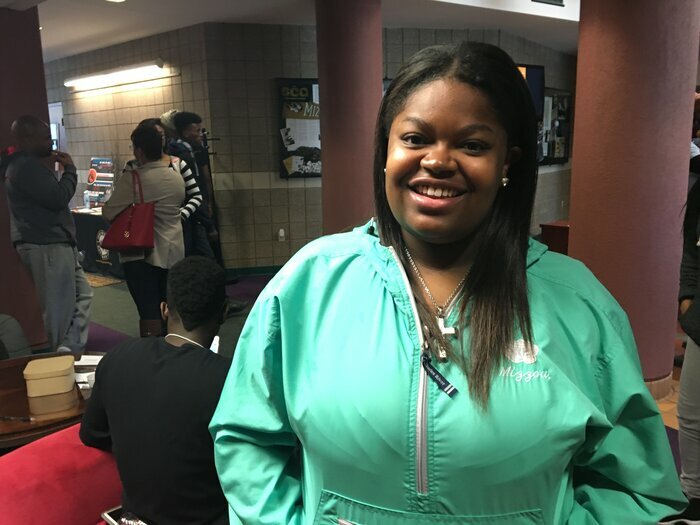 But within a couple of hours, some black students, frustrated by the campus police&apos;s assertion that the campus was safe, began to mount a counter response. Sean Adams, a senior and a member of a black fraternity at Mizzou, began offering rides to students too afraid to walk outside. He went back to his apartment after midnight, where friends had gathered to spend the night. Close to 1am, he got a call from a friend, angry that so many students had been made to feel so afraid. They felt like they had to do more. 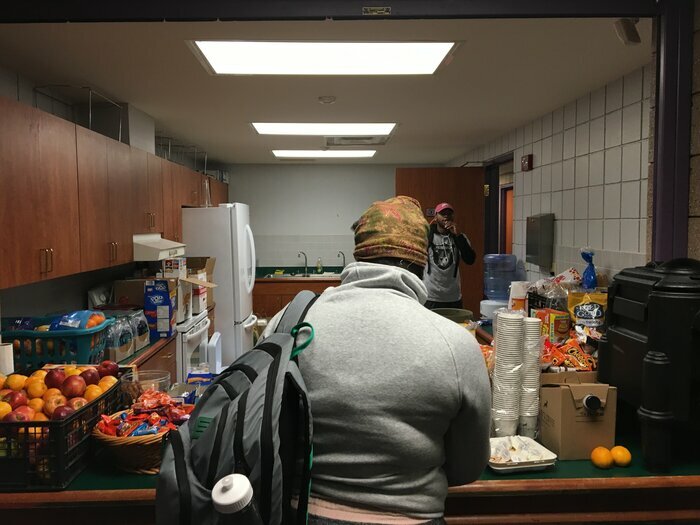 They and a small group contacted the Black Culture Center on campus and asked if they could convert it into a refuge of sorts for the school&apos;s black students — a "safe space" where they could go to study, eat, nap, and feel comforted by others. By 8:30 that morning, it was up and running. 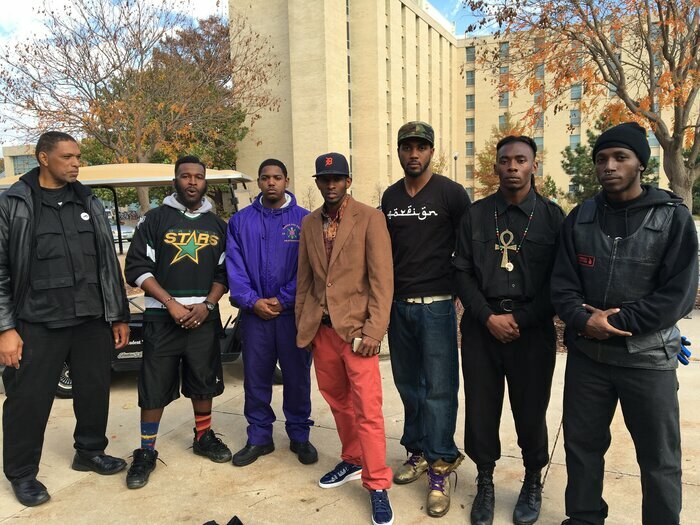 Out front, several black male students acted as escorts for students too afraid to walk on campus alone. Inside, students ate donated snacks and did homework. Some watched TV. Others slept on plush couches. The threats to student safety felt like a punch in the stomach, said Adams, "but at the same time, for that to keep us from doing certain things and control us emotionally, we just couldn&apos;t let that happen . . . A lot of people are scared, and that&apos;s what this environment is for, for reassurance, to build confidence and make sure everybody knows they&apos;re not alone." Junior Whitney Thompson agreed, explaining that fear needs a breeding ground. "If you surround yourself with people who aren&apos;t afraid," says Thompson, "eventually, if you are afraid, that kind of dwindles down because it has nowhere to feed off of and grow." Fear, and how to handle it, is something a lot of black students have talked about in the last couple of days. Most have said that although they&apos;re afraid, they feel they have to hide it. 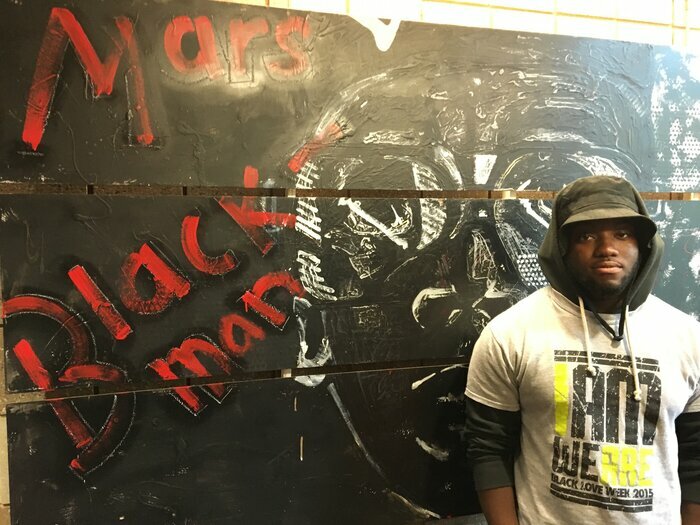 At the Black Culture Center, among other black students, they can let it out. Last night, several hundred students packed into a large meeting room. A student named Ida stood up to speak. "I don&apos;t know what to do," she said, "I have class at 9:30 in the morning. Why am I scared to walk by myself at 9:30 in the morning? I know we&apos;re supposed to be strong. I know we&apos;re supposed to not let them see us sweat. But why am I scared at nine o&apos;clock in the morning?" Another student put her arms around Ida&apos;s shoulders. Then, grad student Reuben Faloughi led the group in a decompression exercise. The exercise allowed students to shout out how they were feeling — tired and stressed, many said. But those feelings didn&apos;t stop what happened next.